We had another exciting week being featured in the App Store once again! But more importantly, we have some new updates and squashed some pesky bugs that were lingering around our babies! We thought to share the new features and major bug fixes. (New feature) Create any water alarm – it’s now possible to set the plant alarm to your time preference. (New feature) Edit existing plants – it’s now possible to change your plant’s watering schedule and name. This will help people adjust to seasonal changes or when you accidentally set a wrong time or baby name. (Bug squashed) Time settings were not always being recognized properly. Sad faces around. They are now clear. Happy faces back! 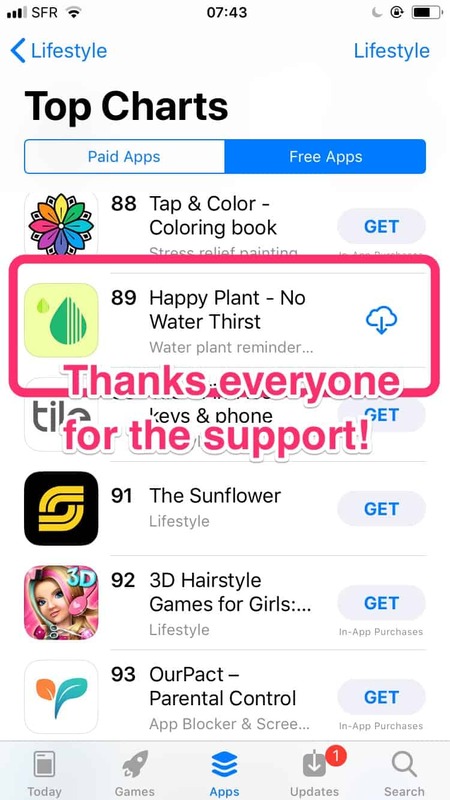 (Bug squashed) Some of our new users couldn’t see watering for the plant they just added. Since that’s not healthy for their babies we made sure they can now keep a close eye on them. Leaving those 5-star reviews have helped us so much getting some visibility in the App Store. Water on, water on! Wish you all are having a great start to the new year!